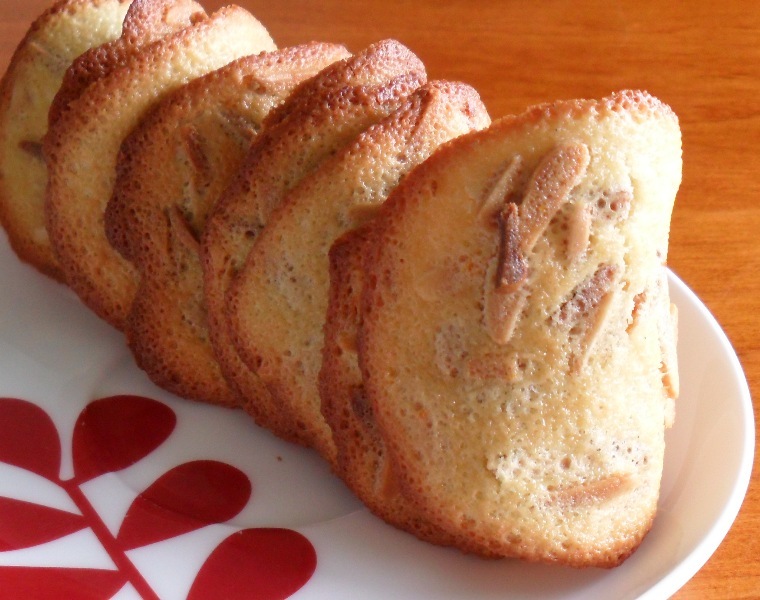 Time saver: Phil tweaks Chef Eddy’s Almond Tuiles recipe, and reaps the sweet sweet benefits. Heat oven to 205°C (I use “high bake” which uses the bottom and side elements with the fan going). 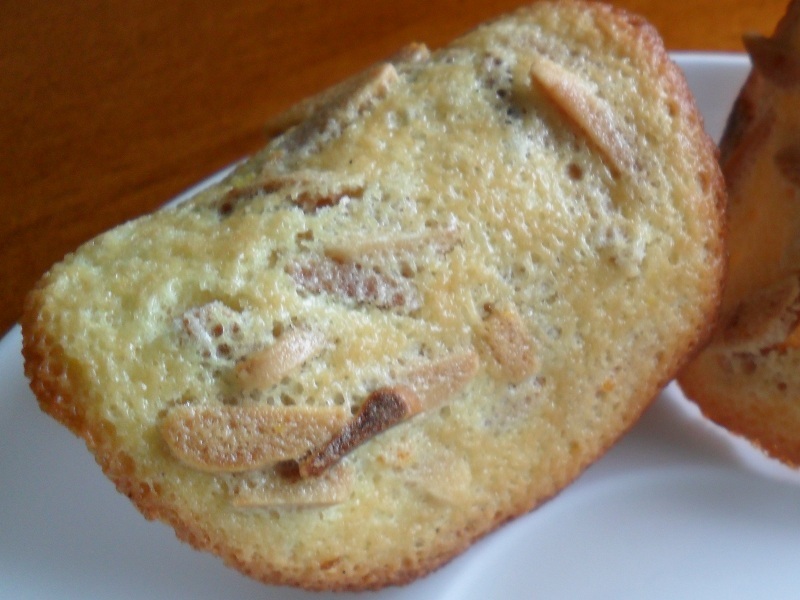 Put almonds on a baking tray and roast in the oven for around 5-6 minutes – you should probably check them after 4 minutes or so and give them a bit of a stir. Remove from the oven and set aside to cool in a bowl. Whisk together the egg whites, sugar and vanilla essence in a stainless steel bowl. You’re not aiming for meringue, but whisk it to the point where it’s well-blended. Add the flour and salt and mix till smooth. Add the melted butter, cooled almonds and orange zest. Mix well. Line baking trays with baking paper, then drop teaspoonfuls of the mixture onto the paper. (Yes, it really is supposed to be that runny.) My baking trays aren’t that big, so I only get 9 per sheet (in a 3 x 3 grid). Leave plenty of space between each one as they can spread while cooking. Shape into rounds with a fork, which you can dip in melted butter to help get clean edges. Cook the tuiles (one tray at a time) for around 6-8 minutes until golden-brown. The edges will brown and the middles should be golden. Remove from the oven, then quickly lift each one from the tray with a metal spatula/fish-slice, and drape over a thin rolling pin to get the distinctive curved-chip shape. You may need to press them into shape. As they cool they’ll harden, at which point you can remove them from the rolling pin and leave on a wire-rack to finish cooling. If you don’t manage to shape them all you can return the tray to the oven for a few seconds to soften the remaining ones before attempting to shape them again. Serve on the side with coffee or ice-cream. Time saver: wrapping things in bacon is kind of cliché, but luckily that doesn’t stop it from making things delicious. This is a great one for summer, and is pretty quick and easy to prepare. I cooked mine in the oven tonight, but you can also do them on a grill, in a frying pan, or of course outside on the barbeque. If you’re doing them on the barbeque or in a frying pan, you may want to use tooth-picks or skewers to hold it all together. I used dry-cured manuka smoked bacon from the Grey Lynn Butchers, and it was truly delicious. John Campbell has been known to shop here (I’m not sure if that’s an endorsement or not – you might want to pick your times to avoid bumping into him). You can serve these with a meal, or just enjoy them on their own. For a variation you could also try wrapping individual asparagus spears with prosciutto (if you’ve come into money or something). Pre-heat oven to 200°C (I used “fan-grill”, which heats the top and side elements, while running the fan). Trim the woody ends of the asparagus spears, then place asparagus on a plate. Drizzle a little olive oil over the asparagus, then turn them to get them evenly coated. Season with a little freshly cracked black pepper (and salt if you want it – though the bacon may be salty enough). Divide the asparagus into even-lengthed pairs, then wrap a strip of streaky bacon around the middle of each pair. Depending on your bacon you should be able to cover the middle half of each asparagus spear. Place the baking tray in the oven, and cook for around 10 minutes. Remove when the bacon is cooked and the asparagus is still al dente. 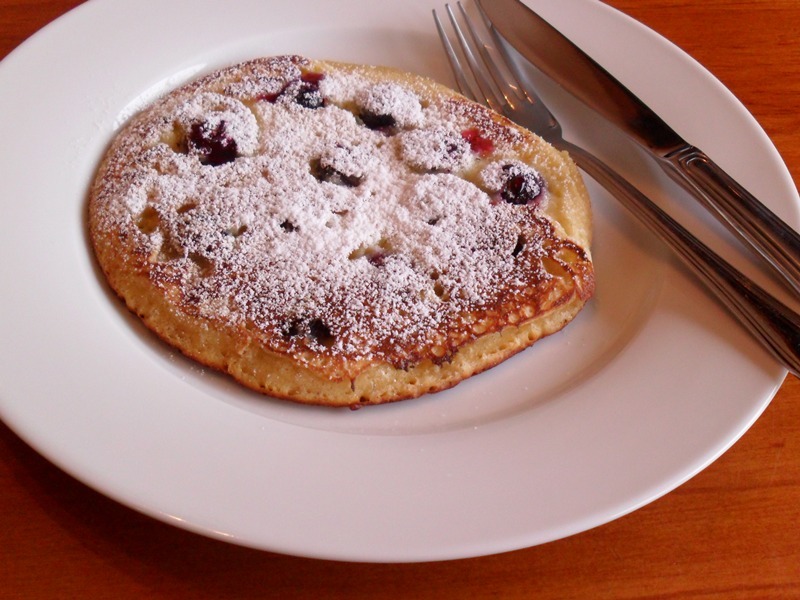 You can also make these without including the berries. In that case, serve with maple or vanilla syrup, or stack with fried bacon and bananas and a light drizzling of maple syrup. Combine dry ingredients in a large bowl. Make a well in the centre, and into this crack the egg. Add the berries and stir through the batter. 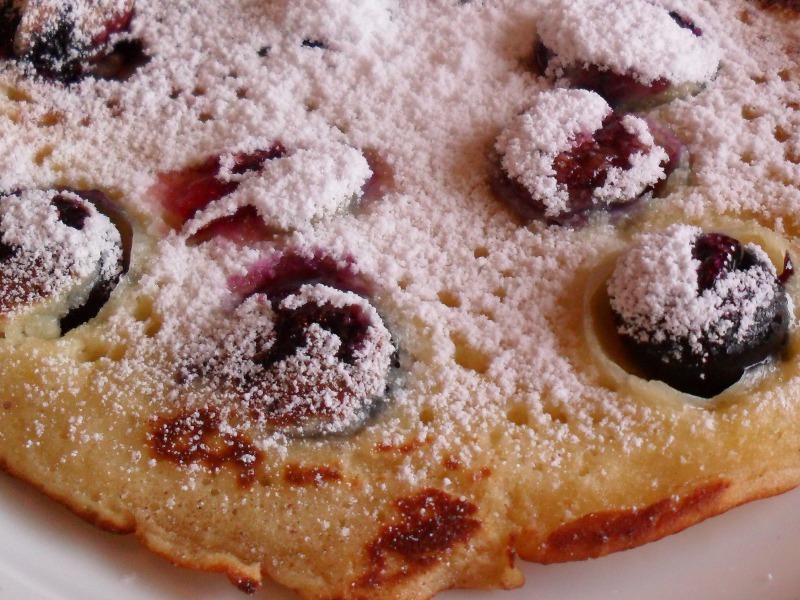 Serve with maple or vanilla syrup, or a light dusting of icing sugar. Time saver: when the lady wants satay noodles, she gets satay noodles. When I asked what to cook for tea tonight, I got told “satay noodles”, so that’s what I did. The key thing with satay for me is getting the balance of the sauce right. It’s easy to end up with a really rich sauce that tastes great at first but quickly becomes overbearing. A lot of recipes use milk, cream, or coconut cream and that sometimes contributes to the problem, so this time around I left those out. Quick note, I used tamarind paste, which is a fairly unusual ingredient for New Zealand cooking. It’s quite sour and has an interesting taste, and you can find little jars of it in most supermarkets. If you don’t have it and don’t want to buy it, just use the zest and juice of a lemon instead. Trim fat from steak, then cut into strips (cutting across the grain) and place in a large bowl. Pour the sauce over the meat and stir through to coat meat evenly. Leave to marinate for a few minutes. While the meat is marinating, prepare the other vegetables. Heat 2 Tbsp oil in a large frying pan (electric non-stick is great) on medium-high heat. When the frying pan is hot, add the meat and sauce mixture (scrape out bowl so you get all the flavour). Stir constantly for 3-4 minutes till meat is seared, then add vegetables and continue stirring. After 2 more minutes, add the water, stir thoroughly and continue cooking for 3 more minutes. Add the noodles, stir well then cook for a further 3 minutes. Add water as needed if sauce starts to dry out. Then serve. Time saver: these come to you from my friend Ruby. 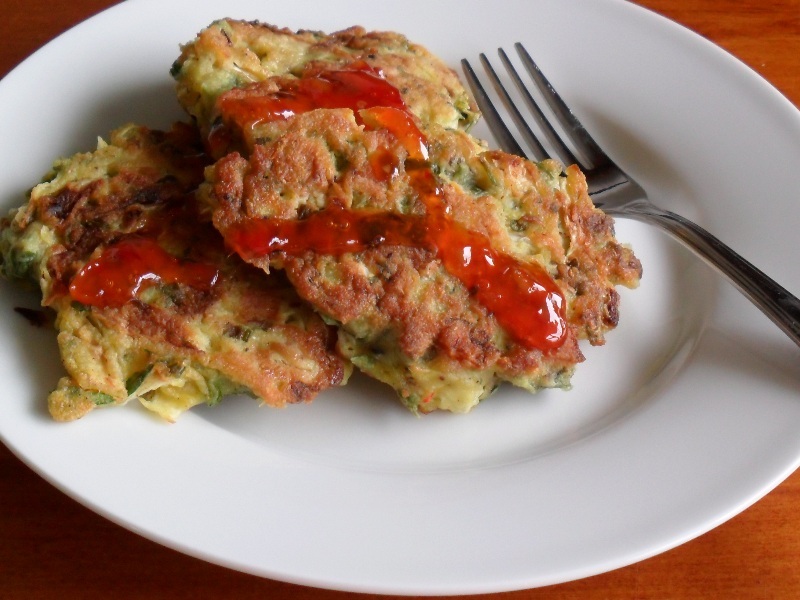 It’s like a complete meal, in a fritter. I was going to make these a few times and settle on a combination I liked, but it turns out that if I wait until I do that, I’ll never get another post up (and that would make baby pandas cry). This recipe is copy and pasted more or less verbatim.The quantities are a little vague, so you sort of get to interpret it however you want to. When I made it I think I used a bit too much cabbage (I used about 1/8th of one), and next time I wouldn’t cut the prawns so small (I used about 200g prawns, next time I’d go for a bit more than that). I also didn’t have coriander (well I do, but it’s bolted and lost all its leaves), so I used fresh parsley and a few mint leaves instead. They can be as big or as small as you want (I prefer smaller ones – they tend to cook a little better) makes around 12 – give or take, depending on size. Chop up the veg (as much or as little as you like). Make batter with top ingredients (Phil’s note: put flour, tumeric and chicken stock powder in a bowl, make a well in the middle and crack the egg into it, then pour water into well, mix well with a fork, starting in the middle and working out till the batter is smooth, season with salt and pepper). Add veg and roughly chopped prawns to batter and mix well. 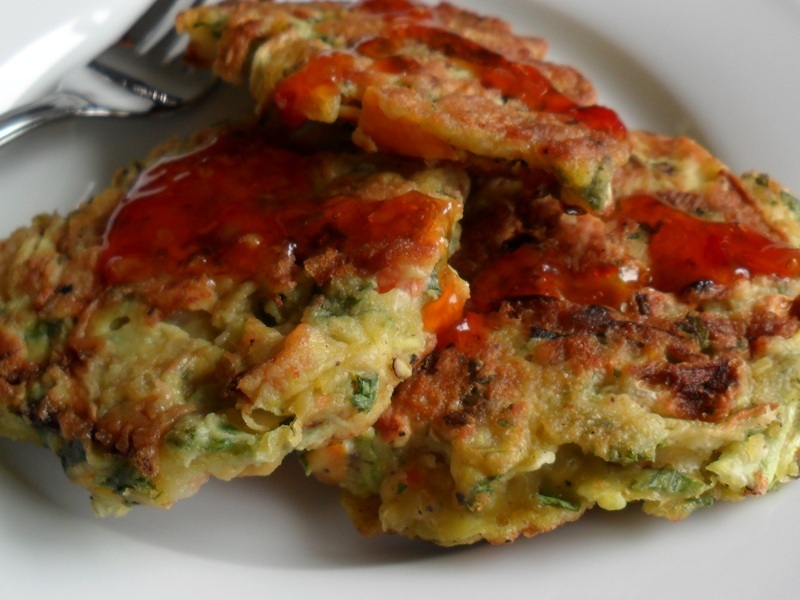 Serve with sweet chilli dipping sauce.